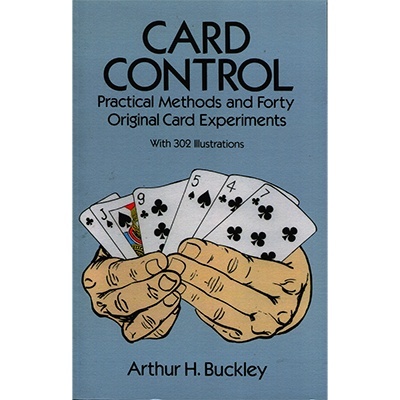 Card Control is not a book for beginners, but it will help those with basic card expertise reach new levels of performance in their art. Among the moves included are shifts, palms, glides, false shuffles, cuts, fans and steals. You'll learn how to do the false table riffle shuffle, how to deal from the bottom, how to know an opponent's hole card, how to warm up a cold deck and much more. In addition, the author presents 40 dazzling deceptions guaranteed to amaze your audience: Confusion, Birds of a Feather, The Ambitoous Card, A Brilliant Climax, Your Favorite Ace, A Quickie, The Obtrusive Queens and many more. Over 300 photographs show the practitioner's exact hand positions during each critical move.